I would argue that AC vs. DC is more of a debate of days past. DC used to be the cheap, common solution and AC was the superior, cost prohibitive option, but with the flood of OEM AC drive-trains in the market now this is driving a huge number of amazing AC motors at a pretty good price point into the DIY space if you're willing to deal with CAN control. DC motors are really good at producing amazing low end torque at lower voltages and.... well... that's about where the benefits stop. The downsides are that they require exponentially more maintenance, they are extremely difficult to keep cool for highway commuting, regenerative braking isn't possible, and they're a solid step below AC drive-trains in overall efficiency. 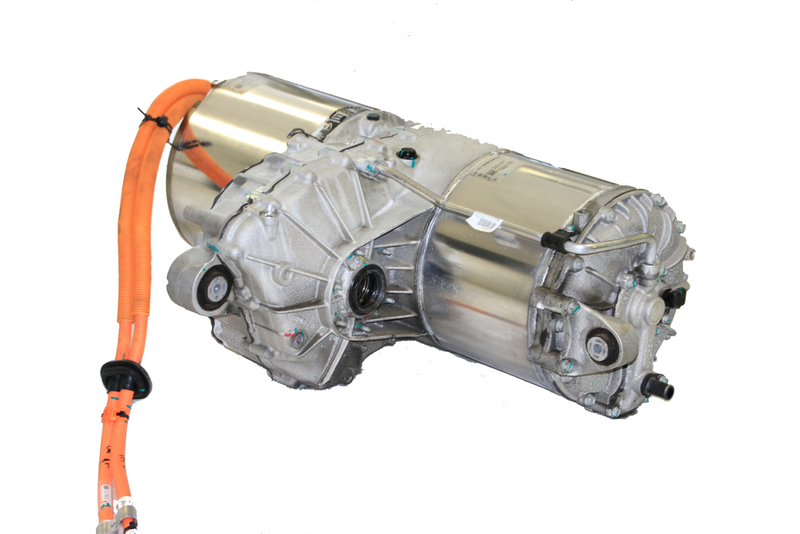 DC motors used to be the go-to for anyone looking to an EV conversion, but I would strongly urge everyone to stay away from a DC conversion unless they are building this car for purely 1/8 or 1/4 mile drag racing. A major benefit of DC drive-trains used to reduced electrical setup complexity. All you had to do was hook up a few 12V wires and a potentiometer for the gas pedal and you were good to go, whereas AC didn't really have any off the shelf kits like this. Times have changed though. The best DC motor controller company (Evnetics) has completely backed out of the EV market, and the brilliant guys at EVTV have entered the market with a surplus of AC OEM drives with beautifully engineered CAN hardware. They've simplified the superior AC OEM drives to a level where even a novice hobbyist should be able to get it going without an excessive amount of research, background knowledge, and troubleshooting. Physical integration ease into the vehicle is one area where DC motors still grasp to superiority. This isn't saying that the end result of DC is superior to AC, but rather the ease of getting to the end result is much easier with DC. Since DC motor have been used in EV conversions for decades there is a large repository of adapter plates and shaft couplers for a multitude of vehicles that require nothing more than hand tools to assemble. AC motors on the other hand were designed for a specific OEM vehicle and are largely not designed for generic applications. The short answer here is that adapting an AC motor to your specific conversion vehicle will require custom CAD design and CNC machining. Whether this is within your personal skill level or you need to reach out for support on this, it is unfortunately not a trivial task. Bench tested to 297Nm, 221 ft-lbs at 300V and 400A. Fully IP67 rated, with integrated liquid cooling and a somewhat universal 24 tooth involute spline shaft. This page wouldn't be complete without a mention to the Tesla drive units. I struggle to develop a clear opinion on these though, as they are clearly a far superior motor/controller than the Siemens motor I'm using with regards to power output. My main issue with the Tesla drive-train is when it comes to integration. If this was going into a custom tube frame chassis the would be the clear best choice, but integration into an existing vehicle would surely be a giant headache. One would need, at very least, to adapt their rear cradle to hold the giant motor/controller and design custom rear axles to adapt from the Tesla spline to the conversion vehicle wheel hubs and change the drive shaft length to a custom value. The giant motor/controller may not even fit within the suspension points of the conversion vehicle either, so sheet metal modifications to the chassis might need to be done. 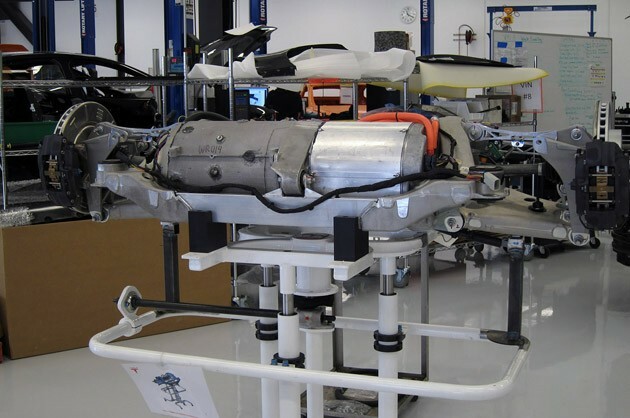 For anyone thinking that they can just drop in the full rear Tesla assembly with motor/controller/cradle/suspension into their conversion vehicle I would strongly argue that this would be a horrible decision and will not work out as you plan. If you are thinking of going down this path I would strongly urge you to think every step of this through from cradle mounting points, vehicle track width, wheel/brake rotor size, spring/shock mounting, and overall clearance. This is not a trivial task, and even on the best vehicles will require a lot of custom fabrication, so take this as a word of caution for a really tempting option. I don't want to deter any of the heavily mechanically inclined audience looking to create a custom non-practical race vehicle from attempting this (it would be an awesome setup for that), but rather just a word of caution to anyone thinking this would not be a pretty large project in and of itself to get a Tesla drive-train into their conversion vehicle.